Info › Data Storage › Can I recover lost data from SSD DRIVES? Yes! It is possible to get back your lost / deleted data from SSD Drives. 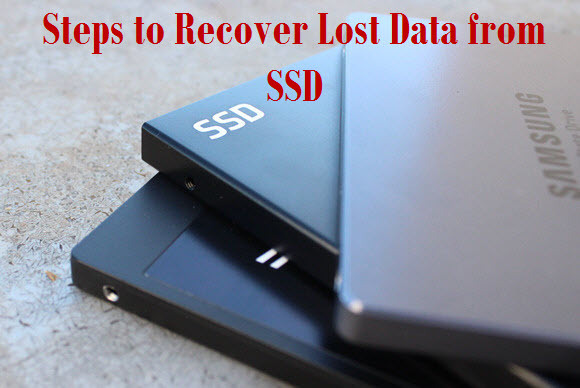 Read through this article to know the complexities involved and the entire procedure to recover lost data from SSD drives. SSD drives are soon replacing hard drives due to their reliability and speed. One of the biggest difference between HDDs & SSDs is that SSD uses NAND flash and magnetic recording for storing g data. This makes it very much different from hard drives increasing reliability. Hence, people usually will be worried on ‘how to recover lost data from SSD’. However, data loss is common scenario that can happen on both hard drives and SSD. Let’s know more about SSD and data recovery complexity. Losing data from SSD is frightening! Usually drive failure is one of the major reason for losing data from any storage drives – hard Drives & SSDs. Drive failures can be either due to physical damages or Logical issues. Physical damages – These sort of damages usually happen due to mechanical or electronic issues. Unlike HDDS, SSDs are less susceptible to mechanical failures as there are no moving parts. And electronic issues can be due to short circuit, memory chip damage and many others. Though these SSDs could handle electrical damages or other physical vibrations, data recovery in such cases it becomes very difficult. This is because, such electric shocks or temperature variations etc. could damage your SSD memory chip severely making data recovery impossible. Logical Issues – SSD formatting, file system corruption, partition errors, OS reinstallation errors etc. are some of the examples of logical issues. When you lose data from SSDs due to any of these issues then you don’t have to worry, because Remo Recover software will help you out. SSDs are much like any other drive and hence data loss is common. If in case you lost data due to any of these logical issues then use Remo Recover software. The tool will successfully recover all your data in simple steps. Remo Recover has been designed with advanced techniques that make SSD Recovery possible. It scans your entire drive and extracts all your files from SSDs. Whether the drive formatted, crashed or partitioned, the software will easily recover back all your data. Not just that, the tool will easily restores data from unallocated drives, after reinstallation errors etc. Whatever is the reason behind data loss, the tool will restore your files back in several minutes. It offers free trial version, using which you can preview the recovered files before purchasing the tool. Get the trial version of Remo Recover software to get back your lost / deleted files from SSD on all versions of Mac OS – Sierra. Whether it is Mac or Windows, Remo Recover will easily recover all your lost data from SSDs. Even though the recovery process is quite tricky, you don’t have to worry as Remo Recover does all scanning and you just have to perform few clicks. Its descriptive interface will make the recovery proves easier for even the novice users. To recover lost files from SSD drives, download Remo Hard drive Recovery Software on your PC and install it. Once done, just follow the below steps & restore back all files. Now, your data on SSDs is completely restored and you can use them all. However, it’s always better to be safe than searching for a solution. Just follow some tips to preserve SSD health and data.